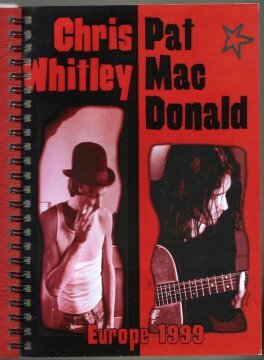 I was pleasantly surprised when, viewing files Hiroshi Suda had sent me of 1999-02-05 (Quasimodo’s, Berlin), I came across a video of Chris and Pat MacDonald singing Dylan’s “Billy” – still brings a smile! Today I ran across some additional audio files of that duet plus of Pat’s solo performance. I’m sharing them here ’cause they’re just too much fun to miss. Pat MacDonald was right there. Him and I in my car. I remember waking up to a ton of snow in Winterthur Switzerland, having to drive to Munich. Pat reassured me it was nothing compared to Wisconsin. I was still sweating bullets. The shows with Pat and Chris together were the best. They brought out the best in each other. It was one of the few times where, as a bystander who had the idea for the bill, you felt you did something 100% right. Very reaffirming. That was at Quasimodo Berlin, they had been talking about Dylan from the first day of the tour when we all got together in Frankfurt, Germany. 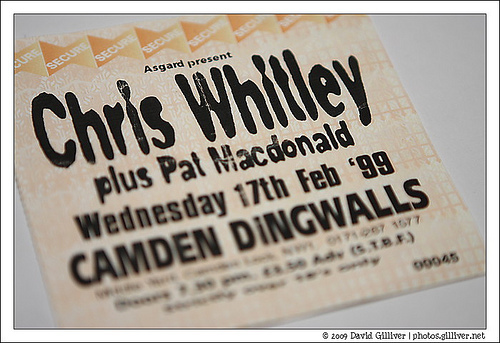 Audio (complete) of Chris’s set at Quasimodo’s (1999-02-05) is on the Live Music Archive. Note that a few tracks are marred by what sounds like tape deterioration, but it’s a stellar set, nonetheless. Pat plays a 7-song set, mostly from his 1997 album, Pat MacDonald Sleeps with His Guitar, and previews “Whisky Bottle” (my personal favorite), which appeared on his 2002 album, Begging Her Graces. Love Pat’s music? Learn and listen to more on Pat’s website. 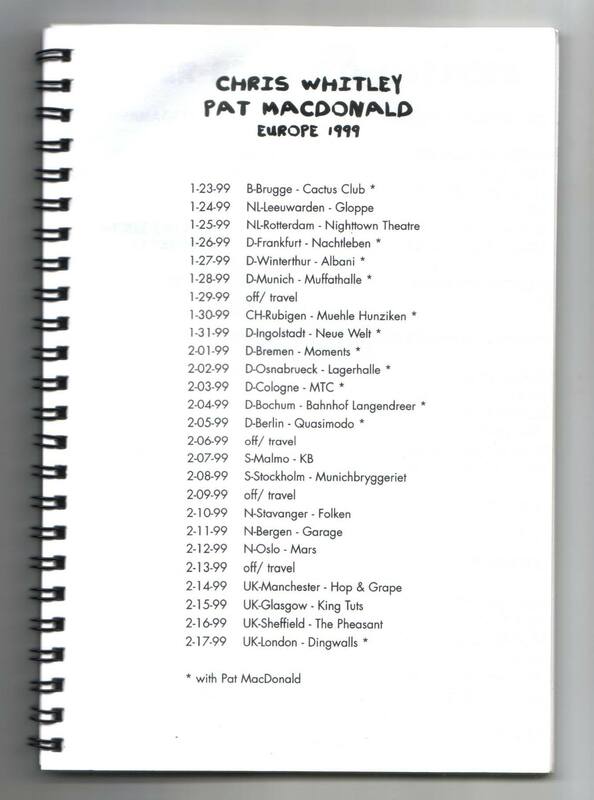 Thanks to Hiroshi Suda for the scans of the tour book, to Maarten Demetter for the tickets, and to both for the bootlegs.